Each of your YouCanBook.me profiles can have a different timezone setting. You will find options to set it correctly for you by going to the Times & availability section, then Language & timezones. 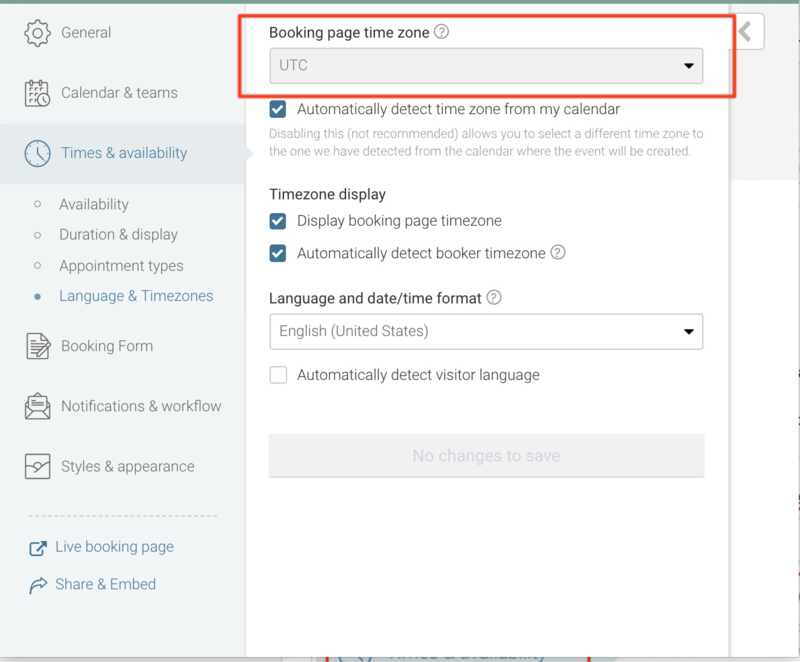 If you use Google calendar, we recommend you select Automatically detect timezone. This ensures your calendar and your profile are set to the same timezone. New bookings will appear in your Google calendar at the correct time. 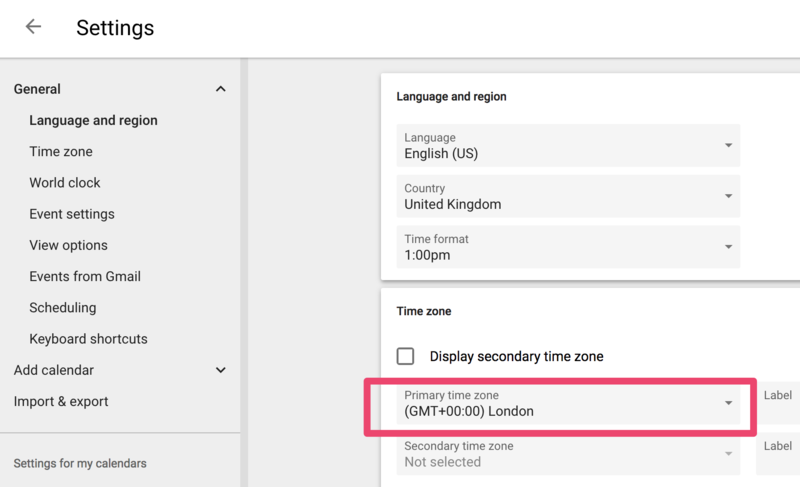 If you select this option and the time zone that we are detecting for your calendar isn't correct, you can change it by going to your Google calendar settings. 3. Calendar App preference settings (on your desktop). Please note that there are several versions of Microsoft and different ways to set your time zone. Please check all instances and devices of Microsoft (i.e. Outlook Desktop App). The method below is for the Microsoft Outlook Web App. In the upper-right corner, select Settings, then Options. Under Options, select General, then Region and time. If you are currently linking your Microsoft account to YouCanBook.me and not seeing the right times, it could be that the timezone of your calendar is set to UTC. In some cases with Microsoft and Apple it detects an underlying generic timezone - UTC. In which case untick 'automatically detect time zone from my calendar' and switch to the actual time zone you use instead. This way times on your YCBM will match availability on the timezone Microsoft is using on your calendar. Please check and make sure that your correct timezone is set for both your desktop app, as well as your web app for your Microsoft calendar. 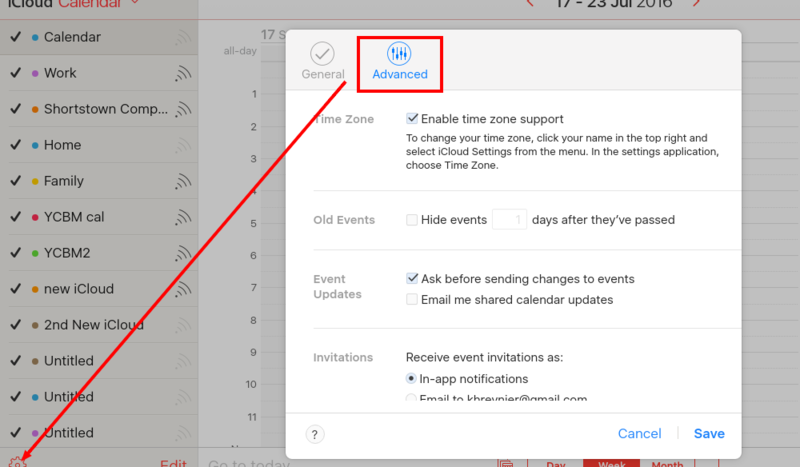 The way that iCloud and Outlook report calendar timezones to YouCanBook.me means that we sometimes see a different timezone than you do. If you are sure you have all the settings above correctly in place, then you can un-check the box next to Automatically detect timezone from my calendar. This will allow you to select a time other than the detected one, which will match the one you are seeing in your settings.